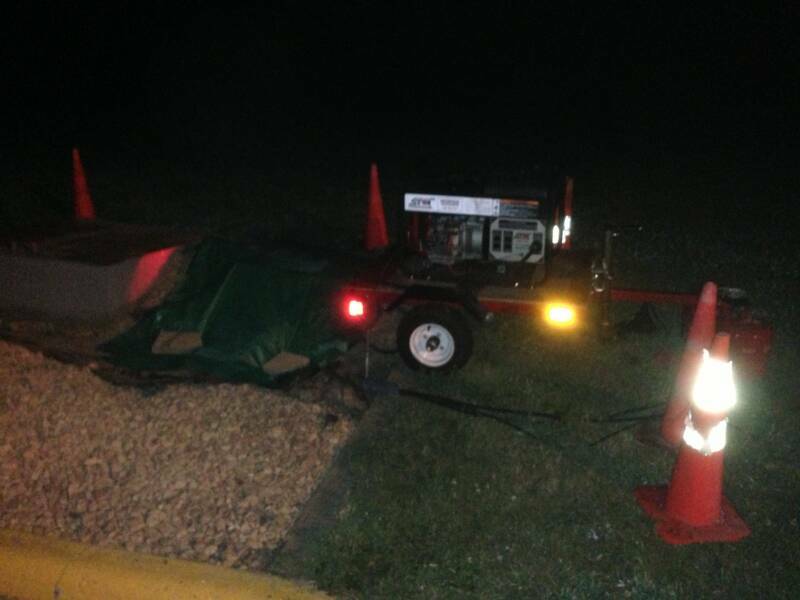 On Thursday night, July 31st about 6PM, a vehicle hit the sewage lift station on Jacob Street near Fire Chief Justin Buckentin's home. 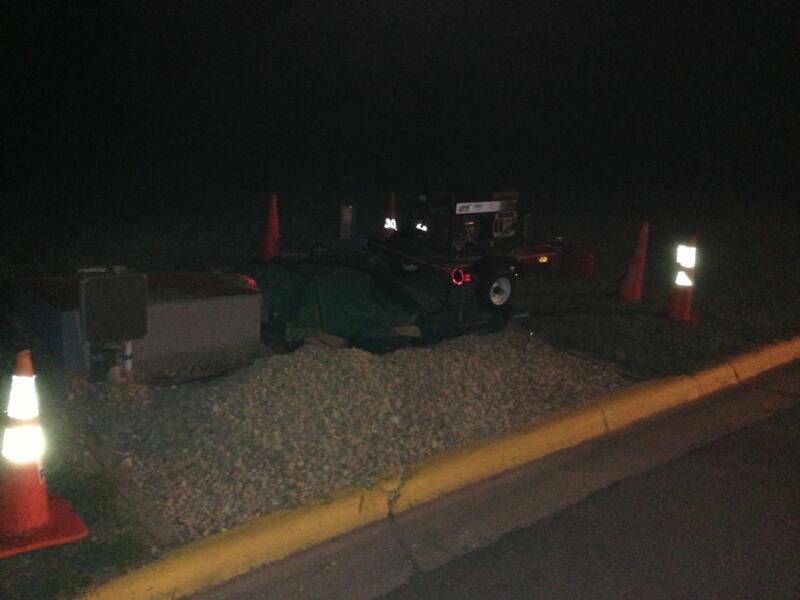 The lift station was pretty much destroyed and Xcel Energy had to disconnect power to it. 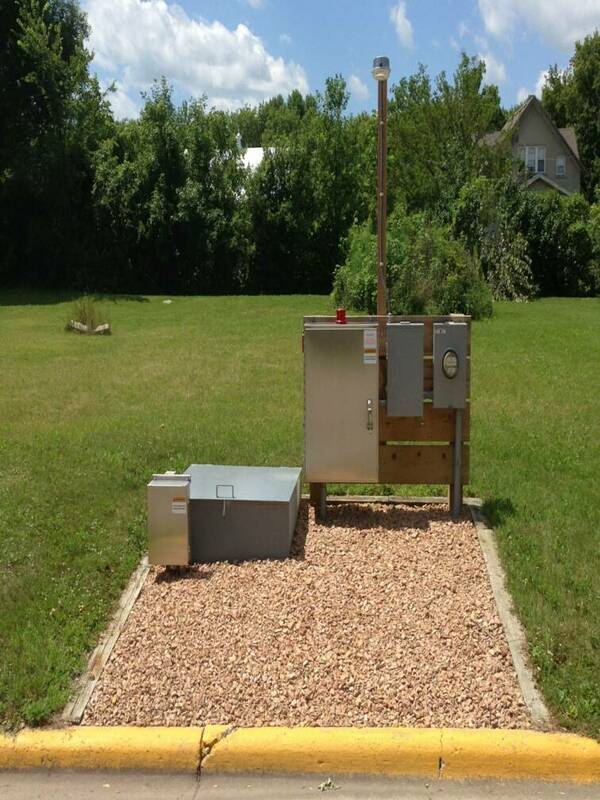 While this lift station serves a minimal number of homes on Jacob Street, if it isn't operating, those homes it serves are susceptible to having sewage back up into their basements. 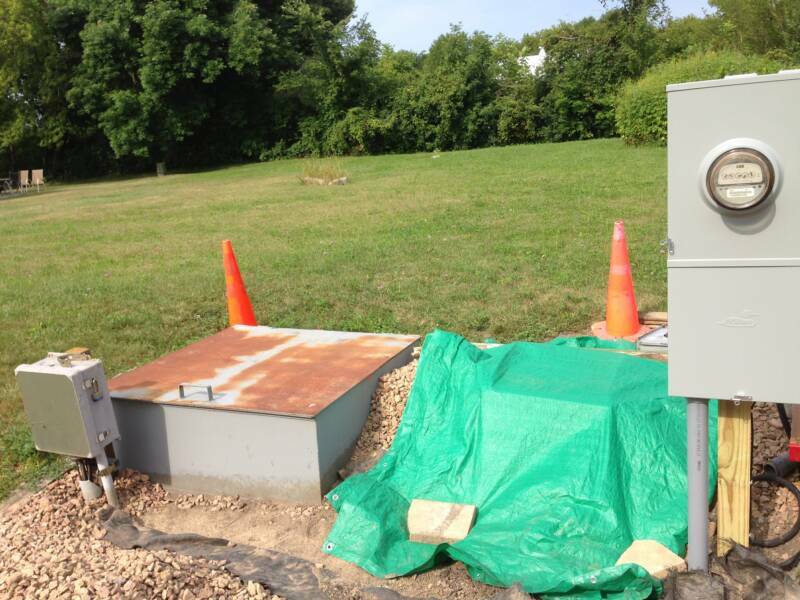 To prevent that from happening and while the city awaits the arrival and installation of a new lift station control panel, it is necessary to power what's left of the old control panel for the lift station with one of the city's standby emergency generators. 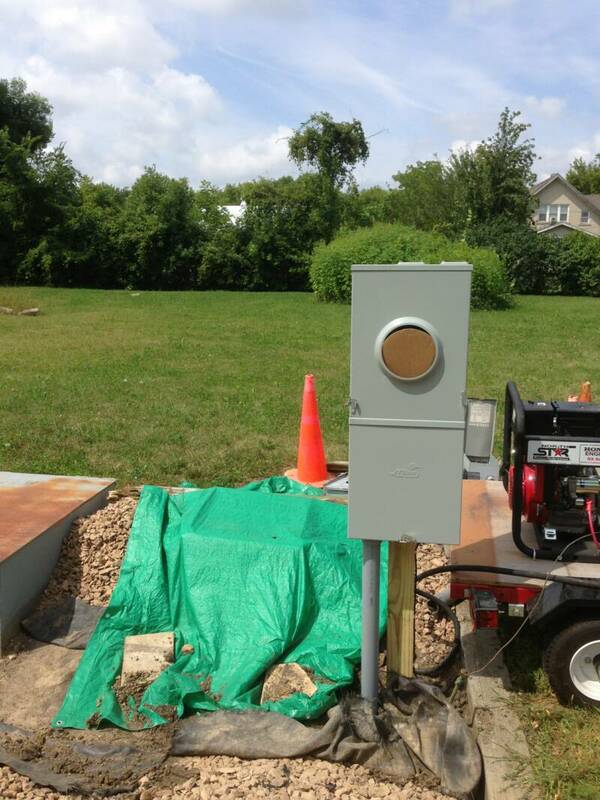 While the existing control panel sustained major damage, it still can be used in conjunction with the standby generator. 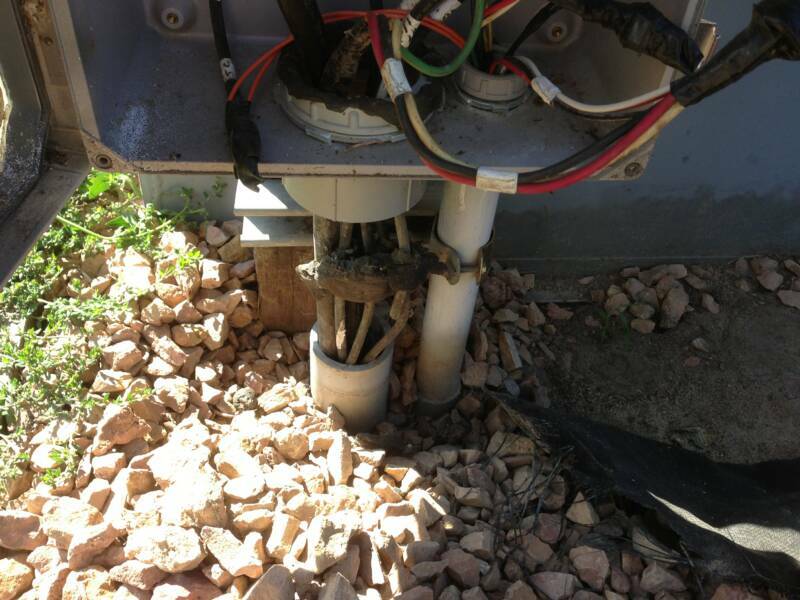 It just can't be connected to commercial power like it was prior to the accident. 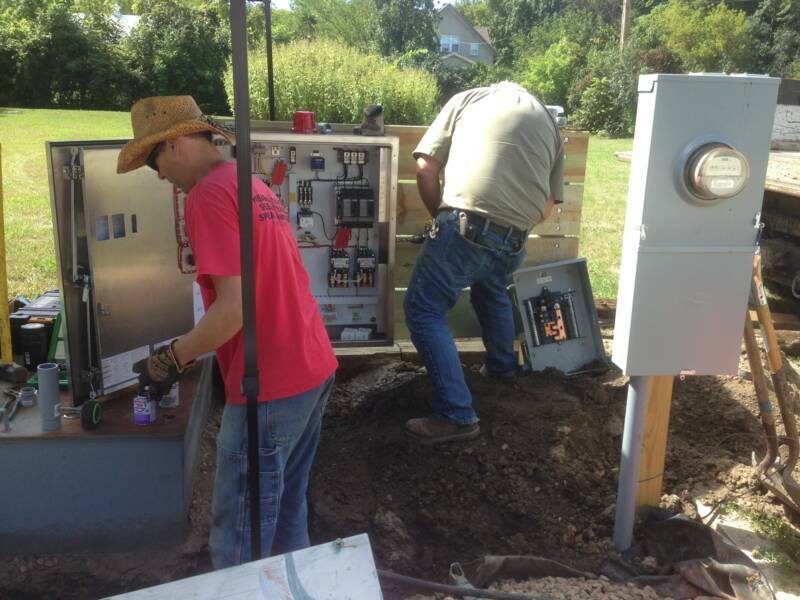 The city has been told that it MAY take up to two weeks for a new control panel for the lift station to be delivered, installed, connected to commercial power and thoroughly checked out. We are hopeful that this will be accomplished more quickly than we've been told, but I thought it was important enough to tell city residents living in the area of what is taking place. 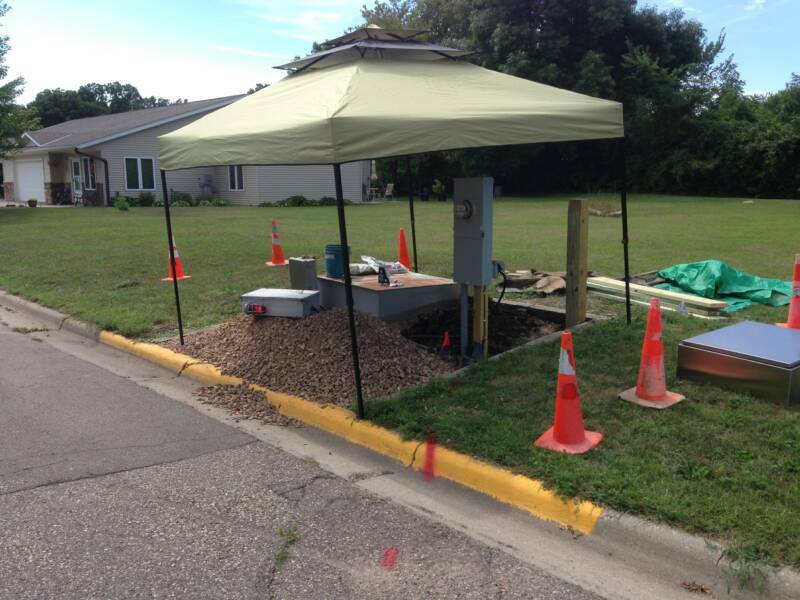 We are also attempting to get 'temporary' electrical service established from Xcel Energy as early as next Tuesday or Wednesday, August 5th or 6th. 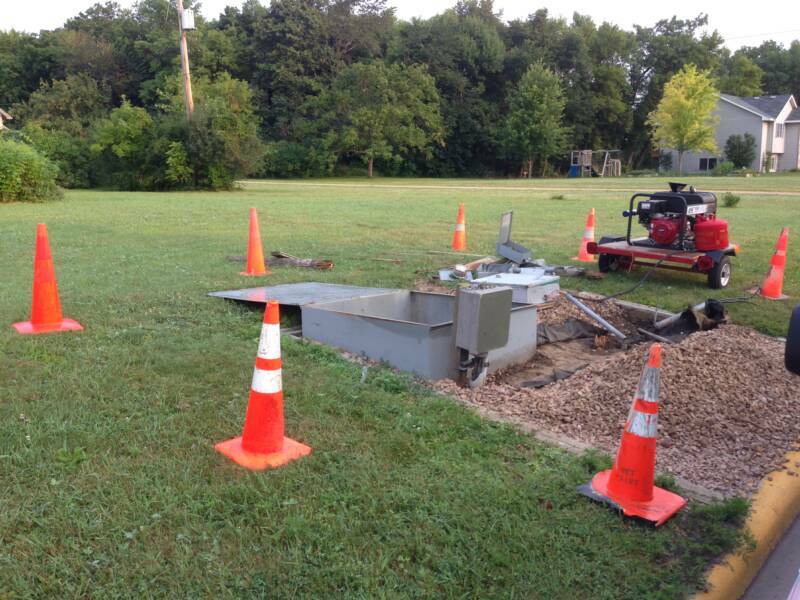 Should that hopefully take place, then the emergency standby generator will be removed. 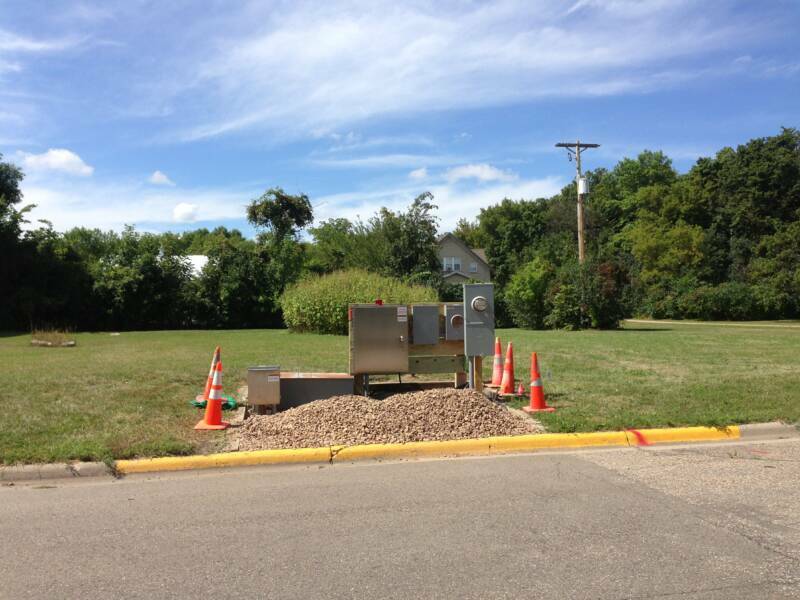 If anyone has any comments, concerns, questions or suggestions, please contact the Hamburg City Hall at (952) 467-3232. 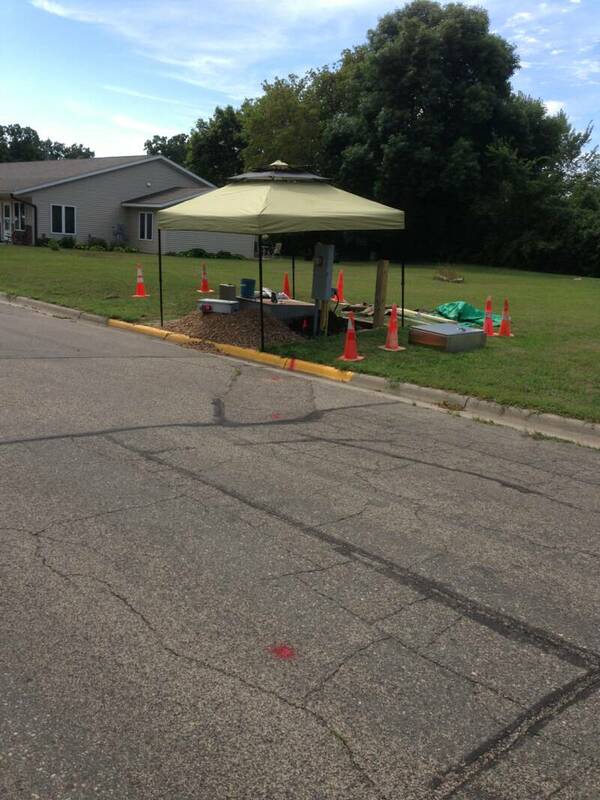 Residents may also contact me at (612) 460-8212 when the City Hall is closed. Thanks to all for your patience and understanding !! 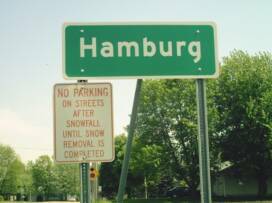 To Go To My Hamburg Minnesota Webpage, PLEASE CLICK HERE !! Thanks !! Meanwhile, the generator is going to have to run for twenty minutes every three hours and all night from 10:00-11:00PM until 6:00AM-7:00AM to provide power to the lift station so that the residences it serves don't experience sewage backup into their homes. 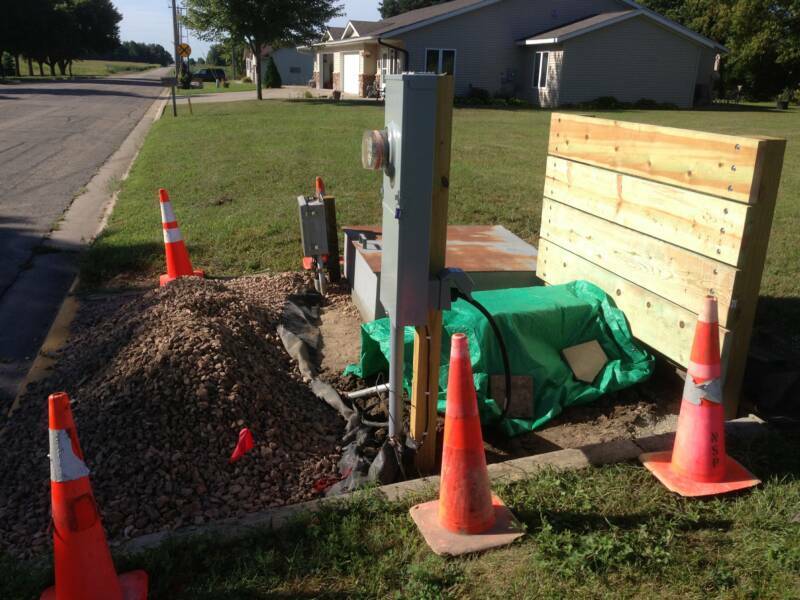 The city is also trying to make arrangements with Xcel Energy to provide us with a 'temporary' power hookup so the generator doesn't have to be used. STAY TUNED !! this Webpage as reconstruction of the lift station progresses. Please check back frequently to seethose updates. If anyone has any questions or concerns about what's taking place, please call the Hamburg City Hall; (952) 467-3232 during normal business hours. 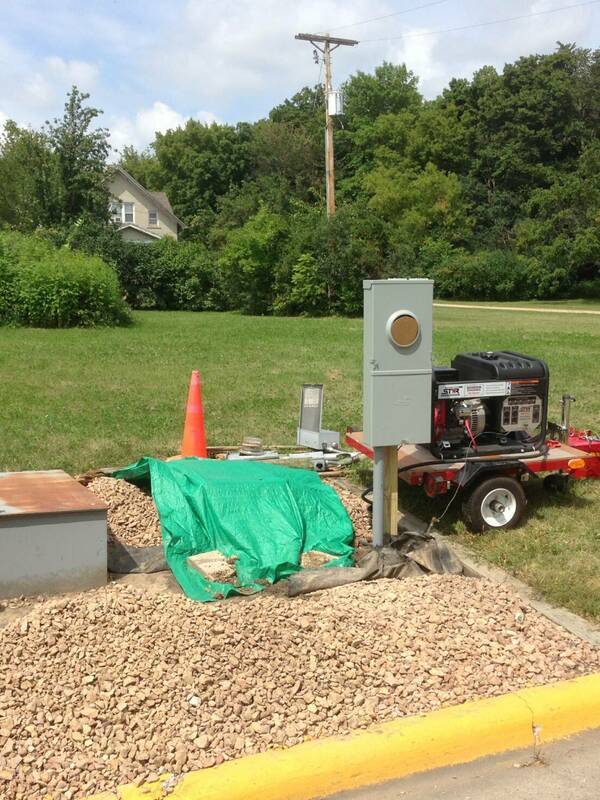 On Tuesday morning, August 5th, Robb's Electric from Carver came out and installed a temporary electrical service to provide commercial power to the Jacob Street Lift & Grinder Station until the entire station is redesigned, rebuilt and installed. 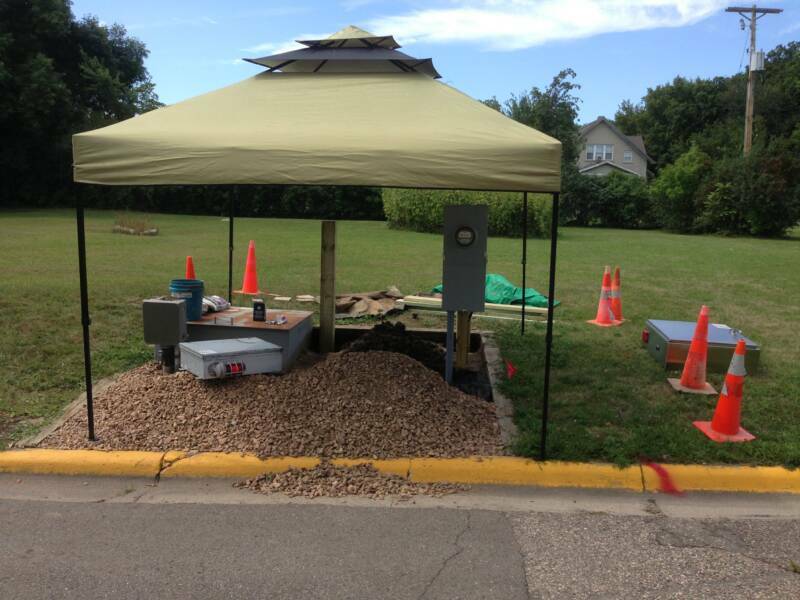 Hopefully, Xcel Energy will be out on Wednesday morning (April 6th) to connect everything up and we won't have to rely on the emergency standby generator on a 'routine basis' any longer. 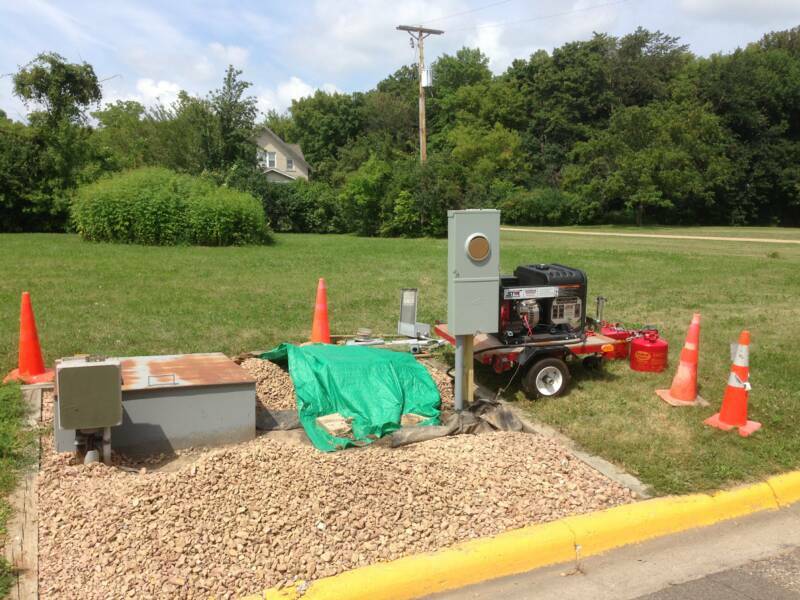 On Wednesday morning, August 6th, the fine folks at Xcel Energy 'pushed us to the top of their list' and came out and connected up temporty power to the damaged lift station so the city doesn't have to run the emergency standby generator any longer. 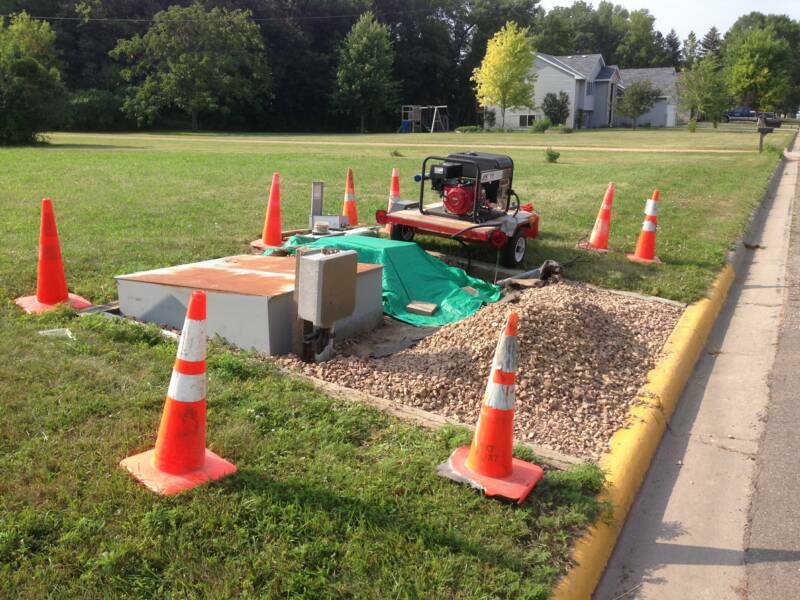 Also, at an Emergency City Council Meeting August 5th, the Hamburg City Council authorized the replacement of the equipment damaged by the 'crash' on Thursday night, July 31st. As of yet, a completion date hasn't been established. Please keep checking back for updated information and THANKS !! to everyone living on Jacob Street for your understanding and tolerating the (necessary) running of the generator for the past five days. 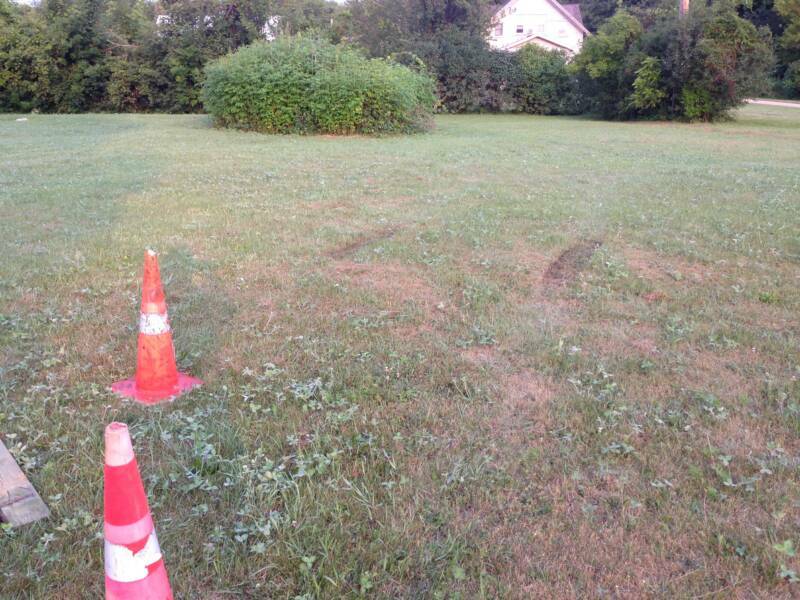 On July 31, 2014 somewhere around 6-6:30PM, an out of control motor vehicle literally 'crashed' into the Sewage Grinder and Lift Station that serves Hamburg residents living on Jacob Street as well as several other homes in the area. The accident TOTALLY disabled the station and rendered it completely 'out of service'. 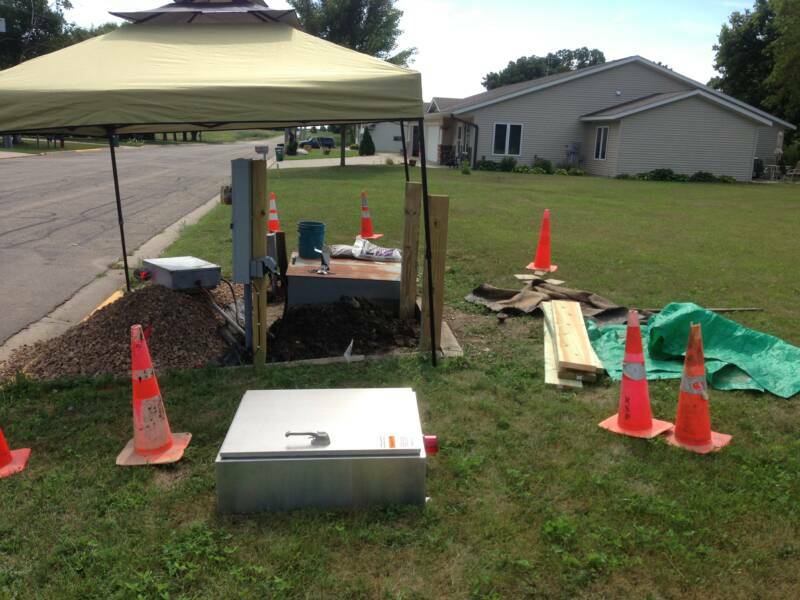 Xcel Energy had to come out and TOTALLY disconnect it from their power lines !! Hamburg's Public Works employee was 'Johnny On The Spot' immediately after the incident and was able to get some 'temporary' repairs accomplished so that the grinder that grinds the sewage (and other) solids and send therm on their way to the main Sewage Lift Station in Bi-Centennial Park, could do just that and area residents wouldn't have sewage backing up into their homes. But now, instead of the station being 'automatic', it had to be 'monitored' 24/7 and the grinder and pumps needed to be manually started every three hours or so (24/7); powered by the standby emergency generator intended to power the station in the event of a power failure. 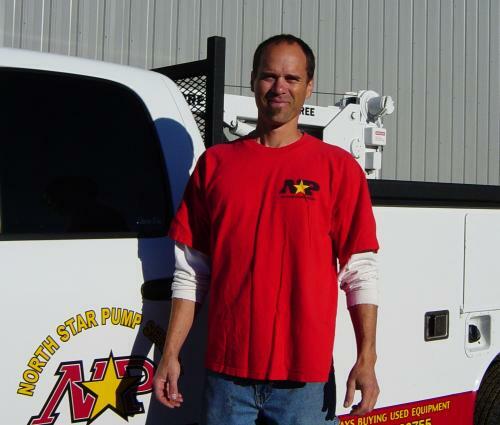 For the next few weeks, (I forget exactly how long), Hamburg's Public Works employee, and I, 'babysat' the station 24/7 by running the emergency standby generator every few hours to power the sewage grinder and the pumps to ensure that Hamburg residents in the area would have uninterrupted 'sewer service'. 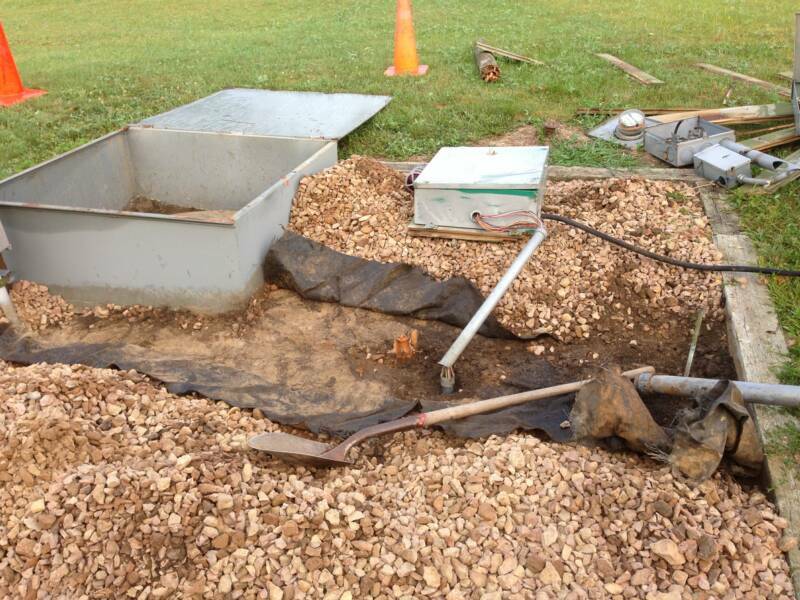 Here are some pictures that I took documenting what was taking place immediately after 'the crash' and during the 'reconstruction' of the "Jacob Street Grinder Station"; please 'click' on the 'thumbnails' to make the images larger. To view one (of many Webpages) that I designed and kept updated so that Hamburg residents would know what was taking place, PLEASE CLICK HERE. Got A Question, Comment, Thought, Idea or Suggestion ? Please Send Them To Me ! !